Digital marketing trends are evolving like wild fire. Every marketer should make the most out of using its latest trends for better customer engagement. Have you heard of “Brand influencers”? It’s not a new term in digital marketing .But still; it’s changing the current marketing scenario for online businesses. It’s the powerful way for user engagement and best option for “Traditional marketing”. Digital marketing agency team finds this as a hot topic in market place. Today buyers avoid the boring way of advertising through messages and it has no value also. Entrepreneurs may not know who is actually “influencers” are and they have so many views. To improve your brand credibility and its trust rate among online community they should try these people. They can’t find directly and so it’s wise to choose a digital marketing company. These kinds of influencers are expertise in changing the user behavior in online space. They are the people with power to influence people’s view to do an action. It’s generally the influence they put on people who is your potential customers in online. Reach is the skill to deliver messages to group of people. Small reach with high credibility people are known as “micro influencers” .Reach is the initial skill and it’s about follower they have in online communities. Trust level and authority given to influencers by the audience. It’s based on influencer knowledge and expertise in niche area. Brand influencers have the ability to understand and embrace a perception in their communication style. Some people have great power to convince people to their point of view. They explain to them in more convincing ways with clear messages. They have ability to deliver their thoughts and points with high confidence. 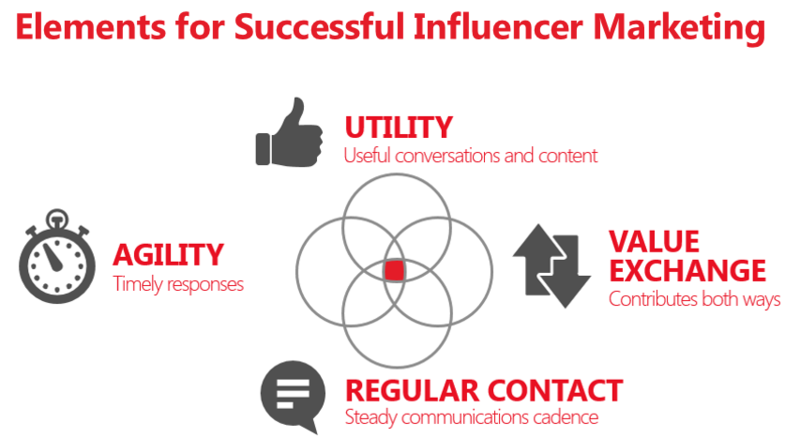 Influencer marketing goal should be simple and authentic. They speak about your products or services as they find it very interesting and informative for their users. This takes some time and high focus with authentic approach. Brand influencers speak in transparent way of saying both good and bad things of a product. It automatically doubles the credibility of a product with high reach and trust among customers. Digital marketing agency plan used to comprise of this advocacy method to leverage your product reach and reputation.